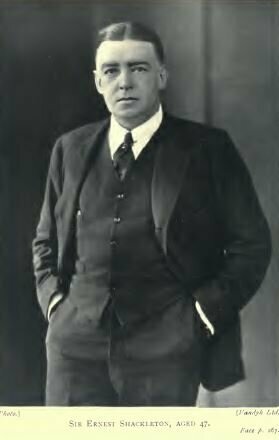 On 30 January, 1916, Sir Clements Robert Markham died in London. in aid of Lady Dudley’s district nurses, 14 December, 1909. 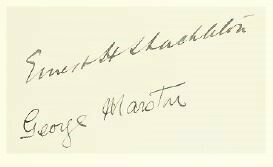 On 20 November, 1940, George Marston died. He was official artist on Shackleton’s expeditions aboard the Nimrod and the Endurance. On 26 September, 1966, Andrew Keith Jack, physicist of the Aurora, industrial chemist, died. On 26 September, 1974, Charles Green, the cook aboard the Endurance, died in Hull, England. He was known as the ‘Antarctic Chef’.